I may have told you before that I was in London recently, attending a workshop by the famous Elizabeth Gilbert (she wrote Eat, Pray, Love). And after that workshop I flew on to Dallas to meet my wonderful friend Laura, who I knew had attended on of Elizabeth Gilbert’s workshops, this one however with the equally famous Martha Beck. So Laura told me that Martha made the whole room bend spoons. And I was like: what??? And I sat with it. And the next morning I bend the spoon. 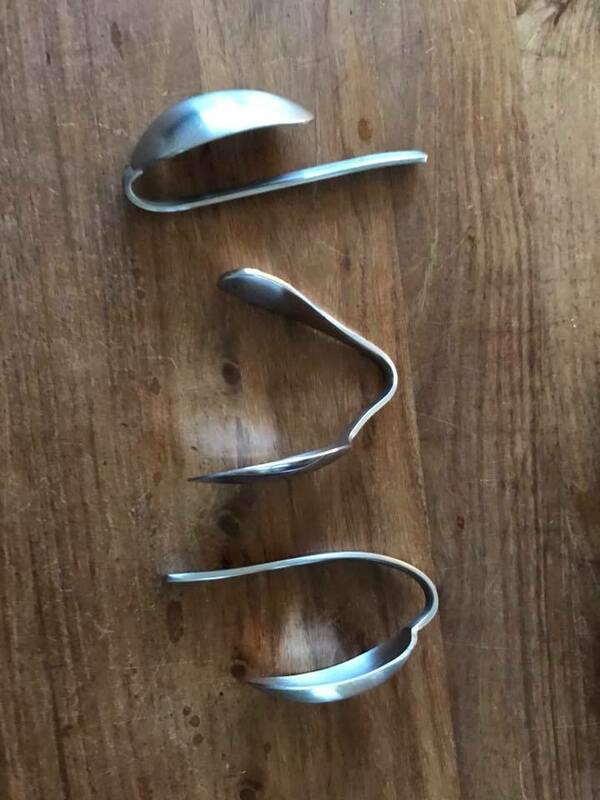 And when I got home I got my kids to bend spoons too. It was such an experience, so simple and pure and effortless that I wanted to share it with you. This technique was introduced at a past Women, Wine and Wisdom evening .